The idea of taking your finished goods, project files, or other files you don't think you'll need ready, and sending them to the ‘cloud’ has gained tremendous steam over the past several years. Historically, the archive environment blended itself very well to maintaining databases, dealing with hierarchies and storage, especially as discs with more space became commercially available. -People need to buy new technology to replace legacy technology, not only creating an upfront cost but causing learning curves. -The archive creates significant capital expense. -Large archives inevitably create red tape, which there is significant marketplace pressure to avoid. The historical kneejerk reaction is to simply buy more discs, but this leads to the archive’s biggest weakness: Disc space grows exponentially because archive data never goes away. Disk storage is more expensive than other media types (i.e. : tape), increasingly difficult to manage, and put you at risk even with an effective disaster recovery plan. Having this massive trove of data somehow backed up or stored in a secure facility isn’t a great answer because you lose easy access. NAPC believes that the real future is a shift to a cloud storage module with it naturally and conveniently trackable by Xinet, leading to the whole concept Amazon is propagating with its array of cloud storage services. Approaching cloud resources as part of a hierarchical storage management (HSM) environment will provide highly-leveraged benefits. You’ll be able to define business rules based on how much you archive, how frequently you archive, and how much time from the date you archive to the date you upload. You can put rules in place to automatically manage this information and keep the vast preponderance of your data in the least expensive location. When you need to simultaneously convert a large amount of data, you’ll be able to tap Amazon’s ability to transfer as much as 16 terabytes at once from the discs. Everything will be meticulously maintained by Xinet’s database. If you can accept a four-hour wait to get your data back, Amazon’s Glacier service is extraordinary cheap (just 1-cent/Gb/month). Keep in mind you could easily spend more than 4-hours sifting through massive, unorganized archives and NEVER find what you need. 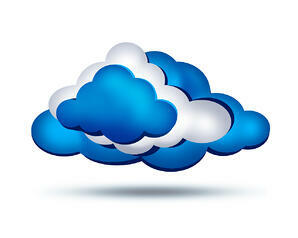 Cloud storage, including Amazon, is represented by cheap pricing with wonderful enhancements of everything being online. Amazon promises reliability and access, and some people have raised concerns over Amazon’s reliability, but really: Amazon is one of the most successful web companies ever. If you aren’t going to trust your web storage with them, who can you trust? At NAPC we’ve embarked on a project working with our own Sean Kenny. Sean builds a very comprehensive step that we expect will take everyone into account who uses any integrator, Xinet or otherwise, BrandControl, took into account things like first period of time that someone archives from live to a final resting place, is your highest possibility of needing it back, incorporated the ability to initially put the archive data into the much more live on demand Amazon S3. Offline information will show up as offline. Everything shows up as the same environment from a user’s perspective to search and browse, to determine for certain it’s what you want, and to automatically request a restore. You avoid additional infrastructure and IT costs and you eliminate the need for creating secondary copies of all your backup discs and storing them in a secure facility. At the end of the day, here’s what cloud storage nets you for a very modest price: Support, software configuration, a storage fee, and making the cloud a natural extension of the business environment. Perhaps most importantly, your business looks like real thought leaders to potential leads. Who doesn’t like spending less money for even better results?